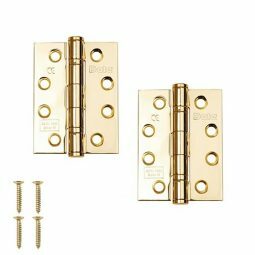 After purchasing a new door, its important to keep it in the most suitable conditions to avoid any damage to it before installation. 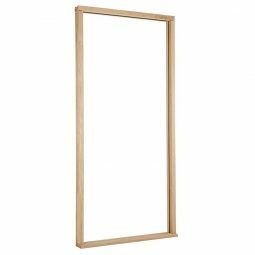 When poorly cared for or stored incorrectly, doors can become warped, bowed or cracked. Follow our tips below to ensure your door is stored properly and avoid potential issues. Doors should always be stored in a cool, dry, well ventilated place. It is important to ensure they are not near any radiators or heaters to prevent them from drying out, which can lead to cracking and warping, as well as “sweating”. For the same reasons, it is important to store your new doors away from direct sunlight or other sources of bright light, which can additionally cause bleaching of one side of the door. It is incredibly important to keep the packaging on the doors prior to installation, not only for protection but also to ensure the moisture content remains at the correct level. Too much moisture can cause the door to swell, but too dry and the door will dry out. 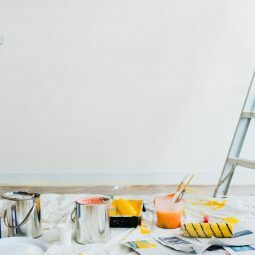 Do not store in any newly plastered or painted rooms or any other areas where building work has recently taken place, as these will have high levels of moisture. 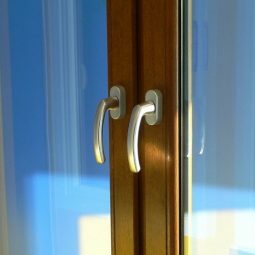 Moisture can result in the swelling of doors, which can affect joints, veneers and movement. Doors should always be stored horizontally, and never directly onto the floor or another surface. They should be laid across 3 lever bearers that extend out wider than the door itself, ensuring weight is evenly distributed. When handling doors, we’d recommend that you use clean equipment and gloves to ensure no dirt or marks penetrate the door – hands can leave oil stains that are difficult to clean off. 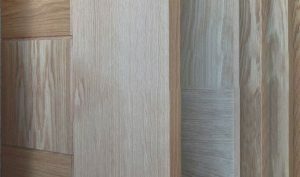 If you have any questions or queries about your new door, don’t hesitate to call us on 01752 422 501.